Well equipped and seriously well priced. Hard to fault the build quality when you consider the price. Diesel is affordable to run. Not the most recognisable brand name. Some of the material quality isn't great in the cabin. Petrol engine has fairly high emissions. 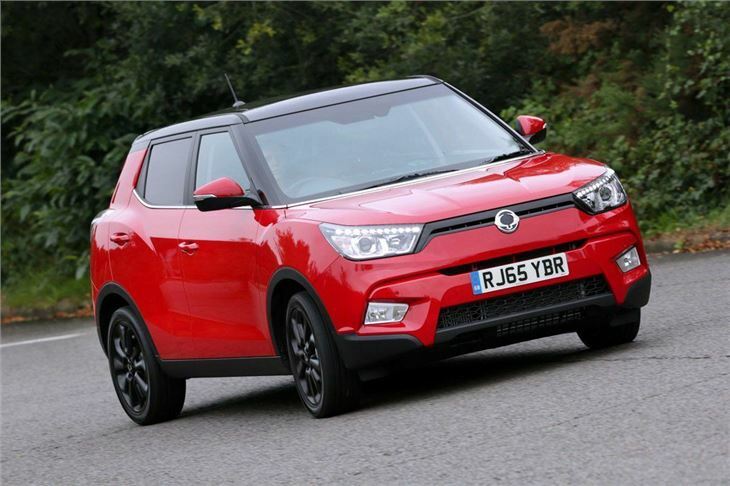 With a budget price tag and a largely unknown badge, the SsangYong Tivoli might seem cheap and cheerful – but it’s much better than that. With space for a family, plenty of standard equipment and impressive material quality it’s easily the best car SsangYong has ever made - and it’s good enough to give rival crossovers from the likes of Renault and Nissan something to worry about. It’s a more practical car than the similarly-priced Nissan Juke, with space in the back row for adults to sit in comfort and a good-sized 423-litre boot, which is only let down by a high load lip. In the cabin there are plenty of cubby holes and usefully-sized storage bins, including a glovebox designed to house a laptop and a centre storage bin big enough for an iPad. The interior quality of the Tivoli is head and shoulders above anything SsangYong has made previously. Materials throughout the cabin are fairly plush and durable, plus there is good quality leather upholstery on all but entry-level SE models. It also gets heated seats, Bluetooth connectivity and a user-friendly, well-integrated touchscreen system. There are two 1.6-litre engines – one petrol and one diesel. The 128PS petrol needs to be worked hard to deliver useful performance and it isn’t the most frugal petrol engine on the market, but it has enough power for rural roads or motorways. The 115PS diesel, while a little coarse, is better thanks to a torque output almost twice that of the petrol and reasonable economy of 65.7mpg. Ride comfort is good, while grip levels and handling are acceptable. An enthusiastic driver won’t necessarily relish driving the Tivoli, especially compared to the Nissan Juke, but most will find it perfectly capable and easy to drive, whether in town, on the motorway or on a rural road. It might have a few shortcomings, but thanks to a well-made, family-friendly cabin and a very generous level of standard equipment they are easily forgiven. 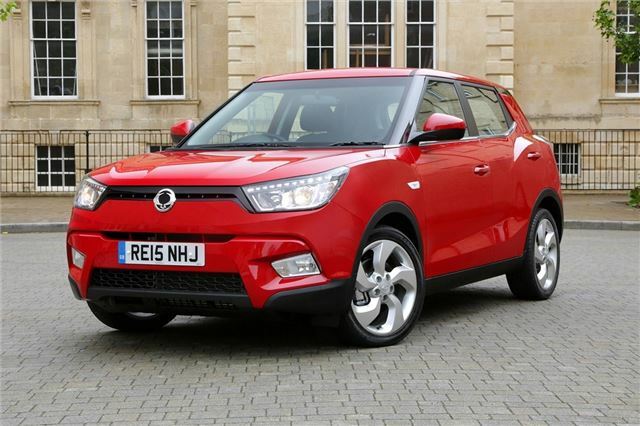 Factor in the very competitive pricing starting at less than £13,000, along with an impressive five-year unlimited mileage warranty and the SsangYong Tivoli starts to look like an absolute bargain.